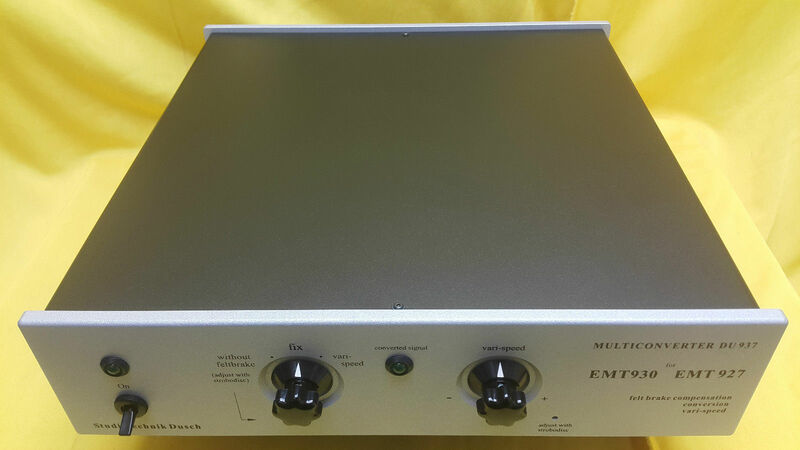 This external power supply for EMT 930 and EMT 927 enlarges the application field and offers an improvement in sound under very quiet listening conditions. For the first time since we have EMT 930 and EMT 927 it is possible to change the speed by using vari-speed. With the Multiconverter DU 937 it is possible to change the speed +/- 10 %. This is very important if you play records which have not been cutted with the standard speeds, especially for persons with very sensible ears. Some schellack-records need more than 78 rev/min. Now they can be reproduced by EMT 930 and EMT 927. It is well known that EMT 930 and EMT 927 use a feltbrake to adjust the right speed. 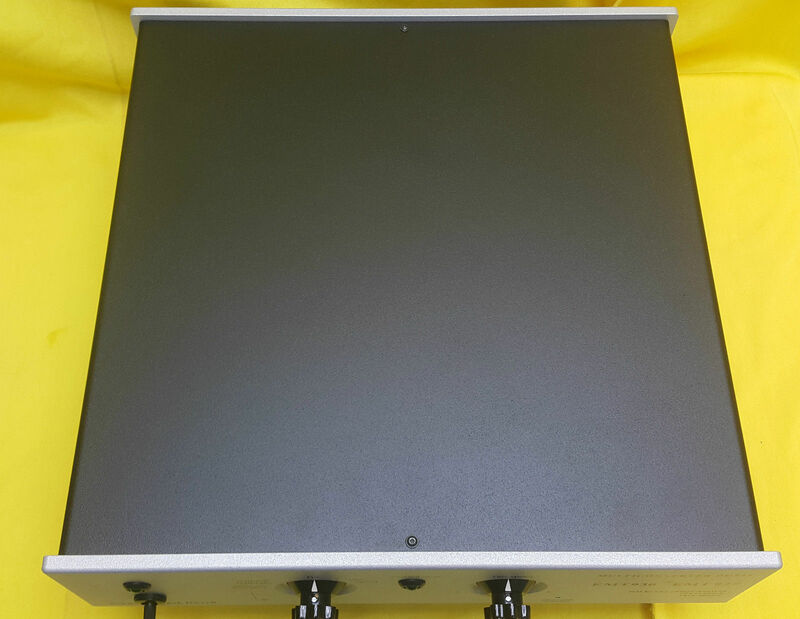 This feltbrake generates a constant noise which can disturb the music reproduction under very quiet listening conditions. Now the Multiconverter DU 937 allows to adjust the correct speed without the feltbrake for the first time, the disturbing noise has disappeared. 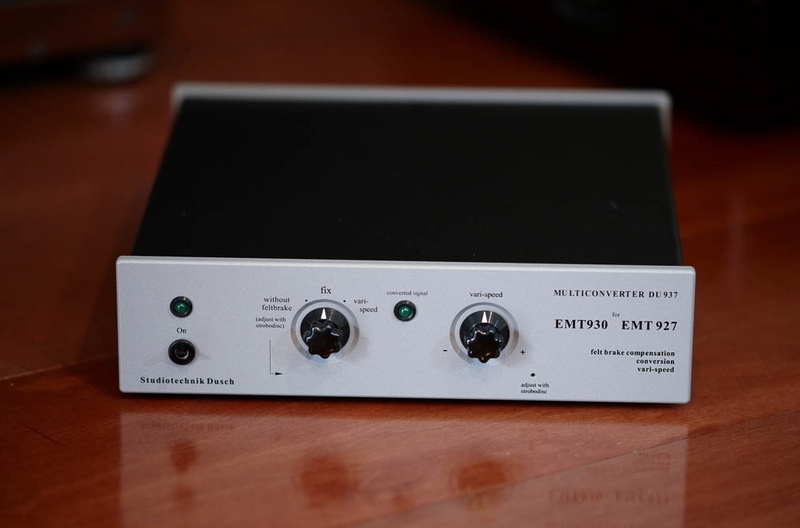 The output voltage of the Multiconverter DU 937 can be adjusted to 50 or to 60 Hz. When using the DU 937 Multiconverter several customers have told us that they can finally listen to music free of interferences during the whole day. This was otherwise only possible in the evening or night, when the industry no longer influenced the mains quality via interference pulses. By using the Multiconverter DU 937 you are independant of variations of the mains voltage and frequency, interference pulses are eliminated. An extremely low-distortion/low noise output voltage guarantees a smooth running of the motors of EMT 930 or EMT 927. The Multiconverter DU 937 is connected as a power supply between the turntable and mains.